Slowing the aging process! What a lofty but relevant goal. For many people, the research from the Janet and Tedd Mitchell Endowed Chair for Healthy Aging is timely and important. Founded in 2010 with the support of friends and patients, the Mitchell Chair is hard at work thanks to the efforts of geriatrician and researcher, Dr. Laura DeFina. "After years of practicing geriatrics, I have a professional as well as personal interest, as I'm sure you do. The Cooper Center Longitudinal Study (CCLS) data base is rich with samples of men and women who defy the odds and live healthily into their 80's and 90's. At The Cooper Institute, we ask 'What makes them special?' In most cases, luck has nothing to do with it! Our early work with this data has shown that a person's physical condition at mid-life plays an important role in the course of mental and physical health and aging. In March of 2013, we published a paper in the Annals of Internal Medicine describing the significant correlation between mid-life fitness and a 36% lower risk of developing dementia after age 65. I find this highly motivating and believe it will empower millions of people to take action to preserve their brains. As the most costly of all chronic diseases today, a reduction of this magnitude could save billions of dollars for Medicare and preserve quality of life for thousands of us." Each spring The Cooper Institute sends a Mitchell family update in the form of a newsletter to all supporters. View archived copies for 2011, 2012, and 2013. 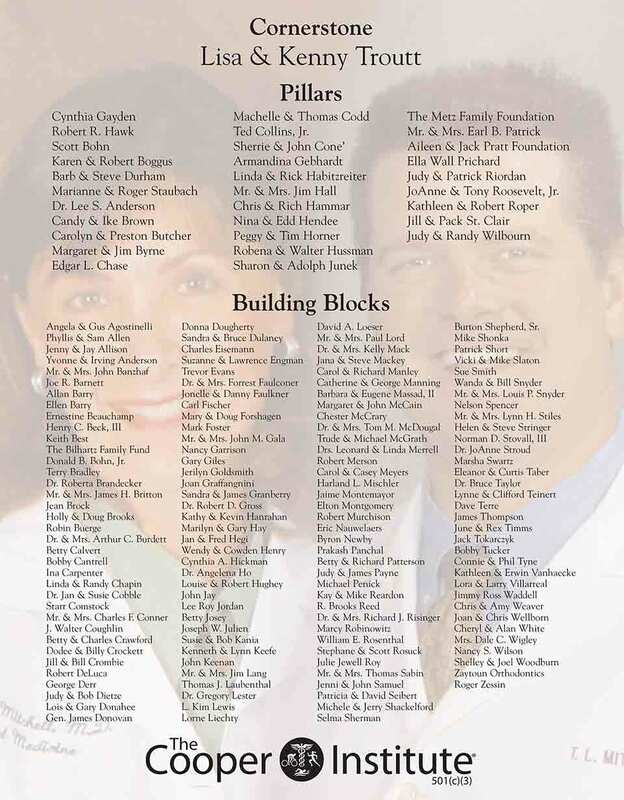 Please Honor Doctors Janet and Tedd Mitchell with your continued support of this great work.